I’ve often thought about time as a concept and how it relates to memory. Marcel Proust, the French novelist, critic and essayist called memory “the great preserver.” He called time, on the other hand, “the great destroyer.” One preserves, the other destroys. Some pair, huh? 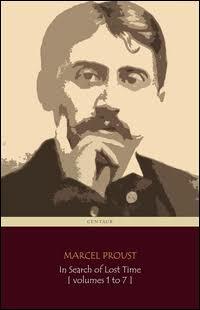 According to Proust, time, the more powerful can override and change memory. As a result, we forget, we combine, we enhance. And, sometimes, we delete. Often it doesn’t matter. The changes are incorporated seamlessly as truth is mixed with unintended fiction to adjust for mangled recall. Although Proust doesn’t clarify the alterations, for me, they count only as long as they are faithful to the individual characters or events. That is what endures. Something else takes place as well. In capturing a life’s story—for example, my memoir WHY US?—one memory triggers another and the past opens up in a fresh and invigorating way. Earlier episodes once thought lost are brought to mind. Different perspectives take hold and images are modified as the stale or the well-defined recollections of long ago are revived. All of us, at some point or another, have searched for the truth as time and memory have shaped it and we each tell our own stories as honestly as possible. You may have trouble recalling the details of actions long ago but some form of them are buried in our brains. Look for them. They are the stories about loved ones lost and finding them anew, through writing and remembering, remembering and writing . . .
Maybe those memories have changed, or just maybe they remain the same. But no matter. Write them NOW as you remember them. You may never have a better chance.